This snap – of smiling Barclays colleague Jack Curtis – was taken at the Barclays Skybranch in Sunderland. Like many young people, he struggled to decide what career path to take. Now, having worked for the bank for three-and-a-half years, he reflects on how “Barclays is great at offering people a start”. Last month, for our online magazine Parkinson’s Life, we told Robin Buttery’s story. Robin – who was diagnosed with Parkinson’s at 43 – joined a four-man team who battled the elements rowing 3,600 miles across the Indian Ocean to raise money for the condition. This flick shows Robin prior to setting off – looking distinctly less sun-kissed and bearded than he did on his return! 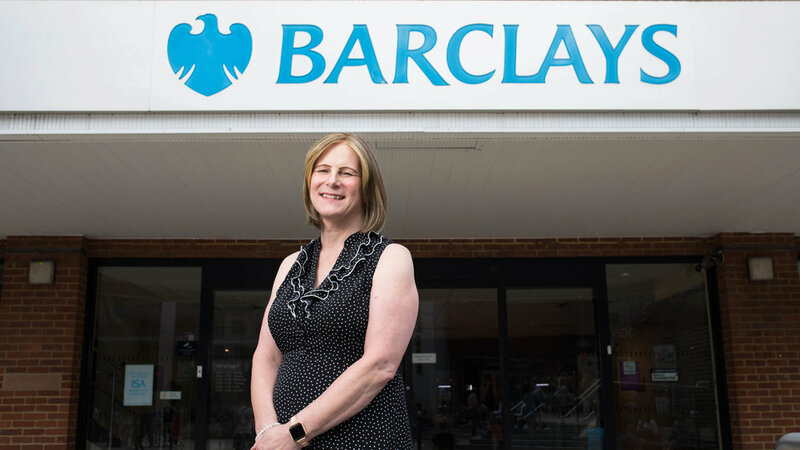 The end of the month saw our picture team make the short journey to Surrey to meet Barclays’ Head of Region for Home Solutions West Amy Stanning. Amy, who is transgender, shares her story with us – from taking time away from the bank to helping others. This snap of Amy smiling was taken outside the Barclays branch that Amy works at in Woking.